WhatsApp messanger is the most popular messaging app till now. It lets you to send unlimited free messages, images, videos to your friends to using their contact numbers. Users can create groups, use lots of emoticons/emoji while chatting and the best thing is, the app is add-free and free for first year. It has grown very popular and over 465 million people uses this amazing app. So, most of your friend use WhatsApp as their primary messaging app. 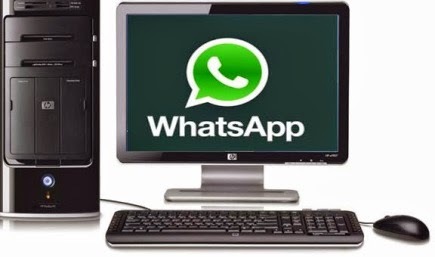 If you don’t have WhatsApp supported phone for example., basic O.S., simple phone, and you want to connect with your friends on WhatsApp then today, here we're going to provide you the way by which you can run WhatsApp on your PC. 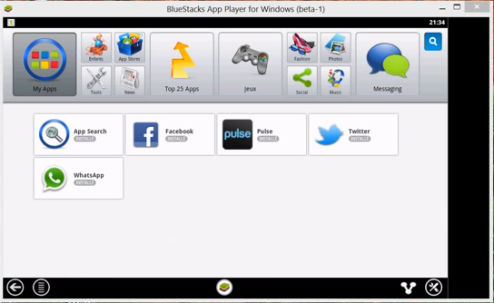 Sometimes user have problem while installing bluestack, you may face certain errors like error 25000, 1720, 1406 or not enough memory space etc so you need to visit All in One solution for all bluestack errors to solve the problem. After successful installation above screen will appear. First open the Bluestack by click its icon. 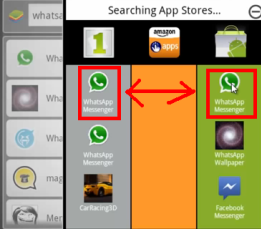 Whatsapp application will appear, before download this will ask you for the preferred market from where you wish to install it. Download app from any one of them and install it. All are safe. After selecting the market,next click over the app and it will start to download whatsapp for PC and installation will also be done. Now open WhatsApp and click I agree with terms button. Then you need to choose your country and put in your desired mobile number and say Ok to continue. Next WhatsApp will send you SMS or Voice verification. You just have to enter the code you get via the SMS or voice call from Whatsapp. Next enter the name and mobile number of the person you wish to add in the contact list and click on ok.
Now click the Pencil icon given above on right to see the contact on the list you added as shown below. Now click the desired contact and start chatting. So that's it.Hope you would enjoyed this tutorial.Do share your view about this post with us through your comments. Another thing that I've learned today and it's very informative. I didn't now that you can install and run Whatsapp on a PC too! My kids use it on their mobiles and I am never on it due to lack of time, but I'd certainly check this out now that you mentioned it. This is helpful as I have friends who uses WhatsApp. I love it that these apps originally made for mobile phones can now be used in the PC.